Few days back Facebook launched a new read-later feature on Facebook. 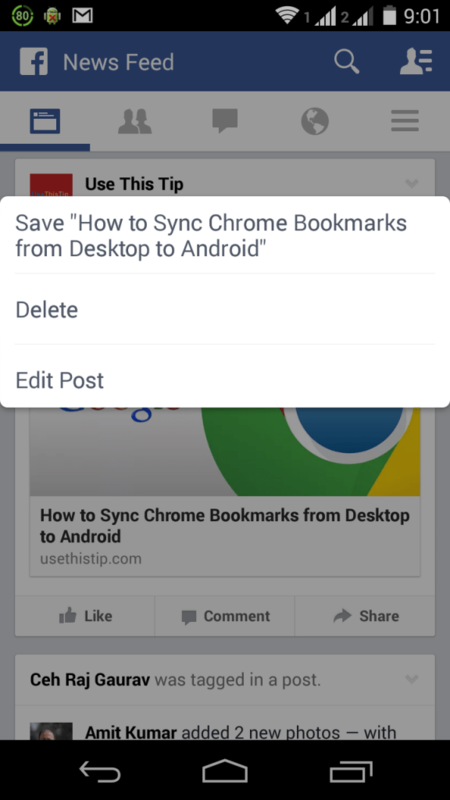 It lets users save links and then read it later via web or mobile devices. This feature is helpful when you just came online to quickly see your wall and found some interesting links. In this case you can save this link and then read it later when you have free time. It is important because Facebook arrange posts on your wall based on the algorithm. So, you may not see the same link or post on your wall few hours later. So, it is not easy to find old posts on your wall. Fortunately, we have this new feature. So, save link if you do not have time to read. When ever you see a post which you want to save, click on the drop-down icon at front of it. Here, select the option to save the link. If you are on the mobile app, the similar dropdown icon will be there for posts. Clicking on that icon will have the similar kind of save link. 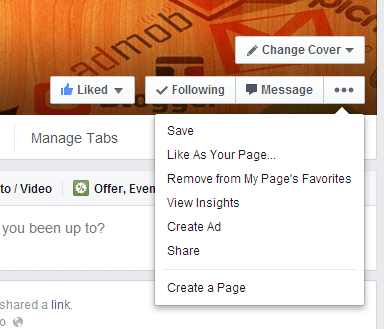 Similar kind of save button will also be there for Facebook pages. When you visit a Facebook page, you can save the link. See the snapshot below. 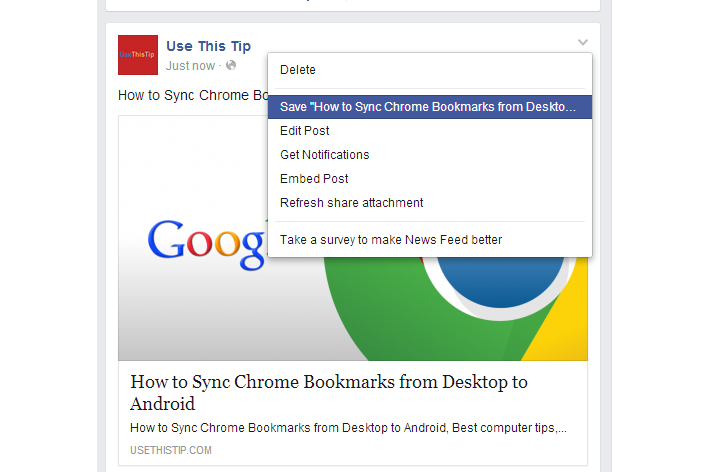 With these ways, you can save a link or a page to read later. Now if you want to read the saved link of view saved pages, find the link “Saved” at the left side bar in favorites panel. In mobile app, the link is available in More menu. You will find all your saved links there. Saved content are also categorized so that you can find it easily. Once you have read the article, you can remove it from saved folder. To delete, you only need to click on X icon. Deleting a post from Saved will go to archive.